Within the Pegasus Academy Trust, we follow the National Curriculum and The Early Years’ Foundation Stage Curriculum for mathematics and teach maths daily. In Key Stages One and Two, children’s learning is further supported by weekly homework. This is usually a problem solving activity in Key Stage One and participation in Mathletics, an online program designed to improve and develop mental arithmetic, in Key Stage Two. 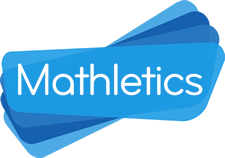 The Trust endeavours to maintain the high profile of mathematics through its promotion of events such as ‘Maths’ Week’, by celebrating pupils’ achievements in maths, through meeting with parents to improve their understanding of how we teach maths and through practical workshops in EYFS. During their time with us, children are taught a wide range of mathematical concepts, including the development of mental fluency with whole numbers, counting and place value, through to the solving of increasingly complex mathematical problems, involving measures, fractions, geometry and algebra, by the end of Key Stage Two. “Mathematics is essential to everyday life, critical to science, technology and engineering, and necessary for financial literacy and most forms of employment. It provides a foundation for understanding the world and solutions to some of history’s most intriguing problems”. introduce, towards the end of Key Stage 2, the language of algebra as a means of solving a variety of problems.